In a thrilling playoff clash that came down to the final seconds – twice! – Laboral Kutxa Vitoria Gasteiz edged Panathinaikos Athens 82-78 after overtime in Game 2 of their Turkish Airlines Euroleague Playoffs series at Fernando Buesa Arena on Friday night. Laboral now leads the best-of-five affair 2-0, but the action moves to the Greek capital next week for Game 3 – and, if necessary, Game 4. 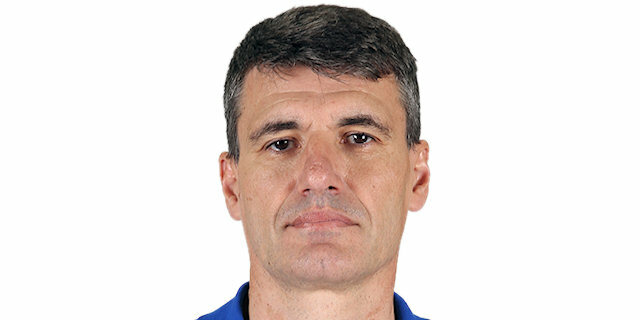 Labaoral was missing several key players – including ace defender Adam Hanga who was hurt in Game 1, and Coach Velimir Perasovic mostly stuck to a six-man rotation. Nevertheless, Laboral led by 2 at halftime and extended its advantage to 10 early in the fourth quarter. 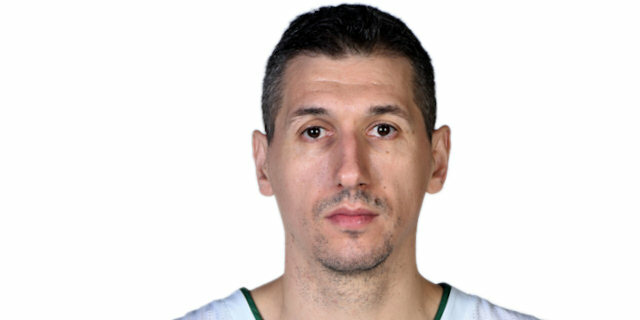 Panathinaikos fought back and tied it on a late three-pointer by Dimitris Diamantidis to eventually send the game to overtime. 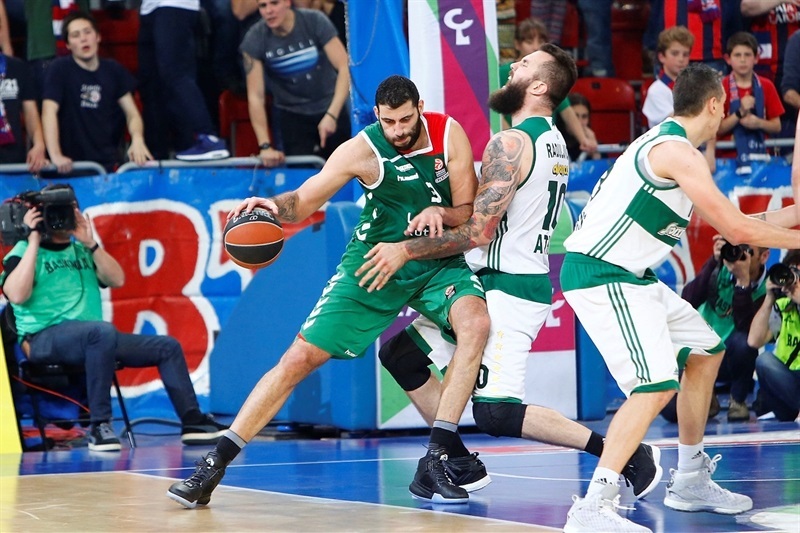 Ioannis Bourousis put Laboral in front, but it wasn’t decided until Miroslav Raduljica missed a shot in the paint with 10 seconds left and Darius Adams iced the game from the line for the hosts. Adams made 5 of 11 shots from behind the arc and finished with 24 points to lead the winners. Bertans made 4 of 7 threes to score 15, Bourousis added 14 points and 9 rebounds, Mike James totaled 13 and 9 and Kim Tillie added 10 points. 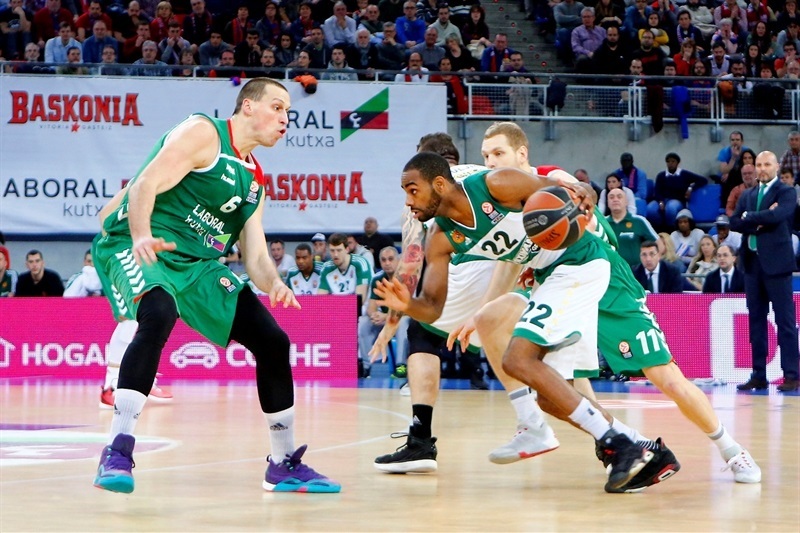 Diamantidis led the Greens with 17 points and 6 assists, Elliot Williams scored 12, Ognjen Kuzmic 11 and Raduljica 10. James posted 10 rebounds and blocked 2 shots as Panathinaikos outrebounded Laboral 39-51. 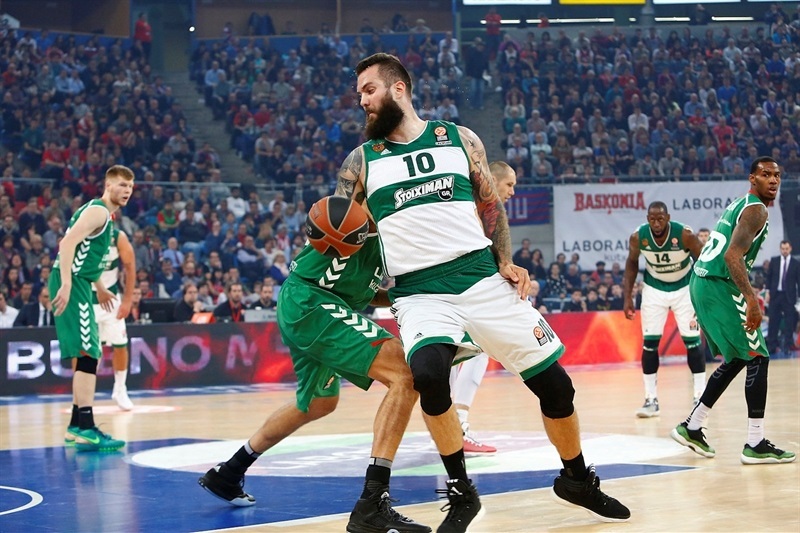 The Greens displayed great passing early and Raduljica found a cutting Sasha Pavlovic for a slam. Adams picked up where he left off in Game 1 with a three-pointer, but Raduljica stepped up with a hook shot and free throws, with a Williams layup in between. 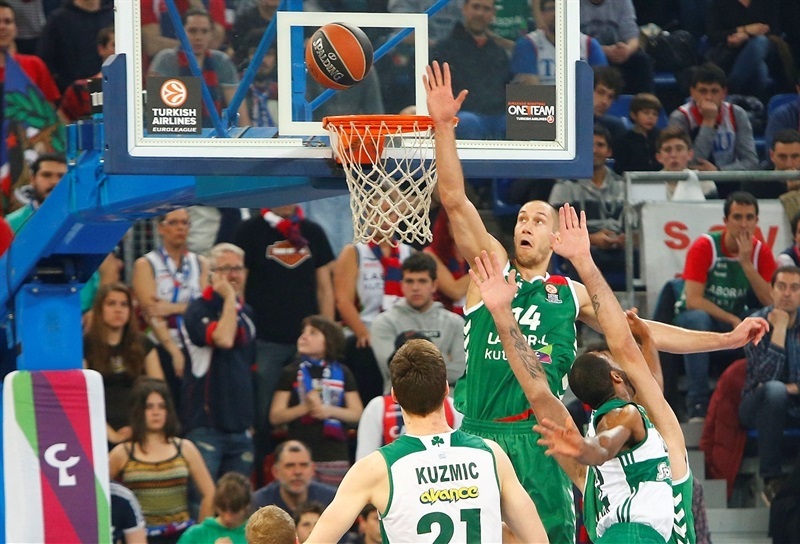 Gist showed the Greens’ confidence with a rejection of Bourousis. The hosts tied it through as second Adams triple and Tillie free throws. Nick Calathes’s floater put Panathinaikos up 8-10, but Tillie finished a layup-plus-foul to tie it again. Tillie rose high to reject Williams, however the ball bounced to Marquez Haynes who scored for the visitors. After the TV timeout, Bertans drained a catch-and-shoot triple. 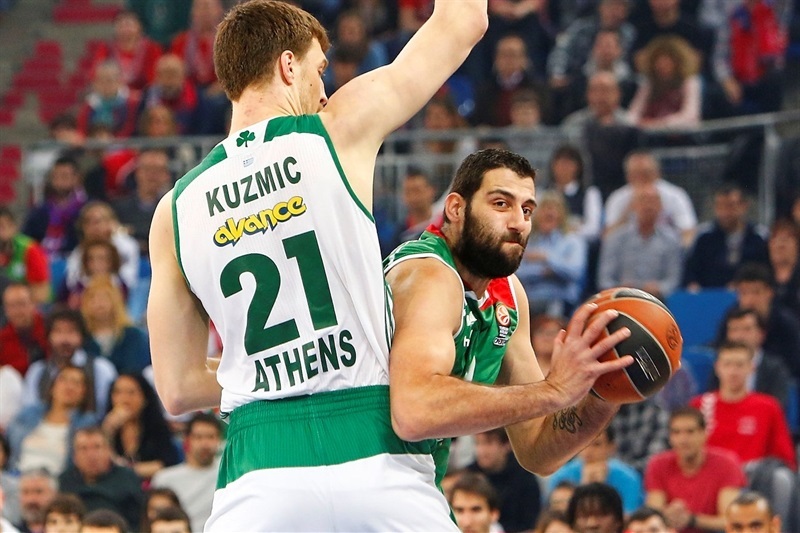 Panathinaikos led again after Kuzmic’s three-point play off a pick-and-roll with Diamantidis. The point guard added a jumper and then Haynes fed Raduljica on the pick-and-roll to make it 13-19. Kuzmic capped a 0-9 run by putting back his own miss. James drained a triple to end the quarter at 16-21. The difference was down to 3 after Tillie scored a minute into the quarter. Then Bertans came off a screen and buried a triple to tie it at 21-21. After Pavlovic split free throws, James’s dunk gave the host their first lead, 23-22. James Feldeine countered with a jumper and then drilled a triple as Panathinaikos regained control. Jaka Blazic’s wild jumper and foul kept Laboral close before Gist scored inside. After a jumper by Ilimane Diop, Tillie recorded another block and Adams tied things at 29-29 midway through the quarter. Haynes countered with a three-pointer, but James took a steal in for a slam. Williams scored with a put-back, but Bourousis netted a hook for his first points. Adams split free throws to even things, but it did not last long as Raduljica scored inside on the next play. However a Bourousis slam made it 36-36 and James’s jumper gave Laboral a 2-point edge at halftime. 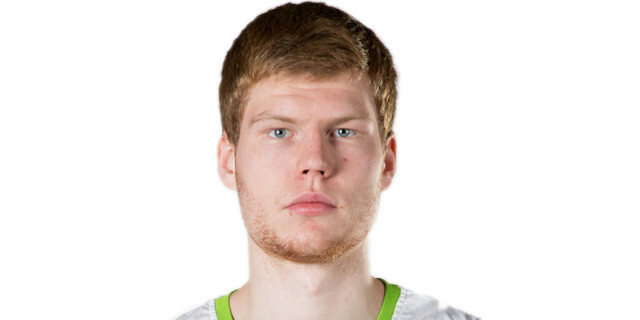 Bertans hit his third three-pointer at the start of the second half. 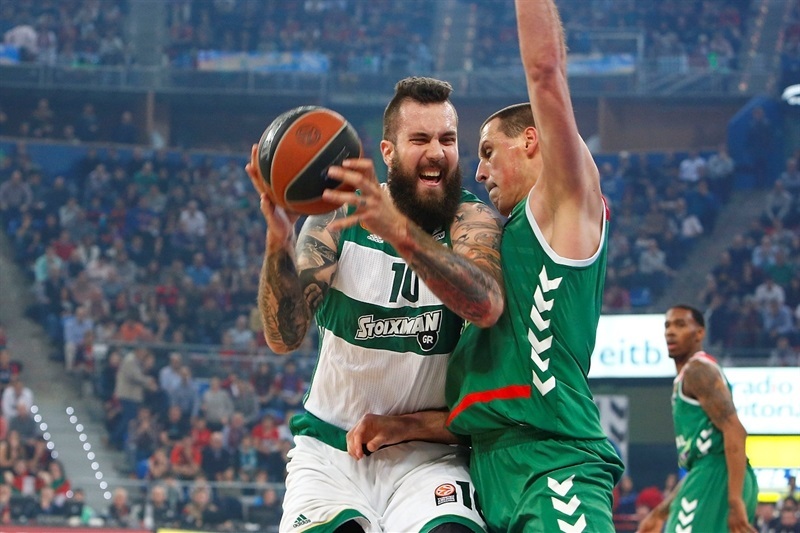 Diamantidis sliced into the Laboral defense for a layup before back-to-back threes by Adams and Bourousis gave the home team a comfortable 47-38 cushion. 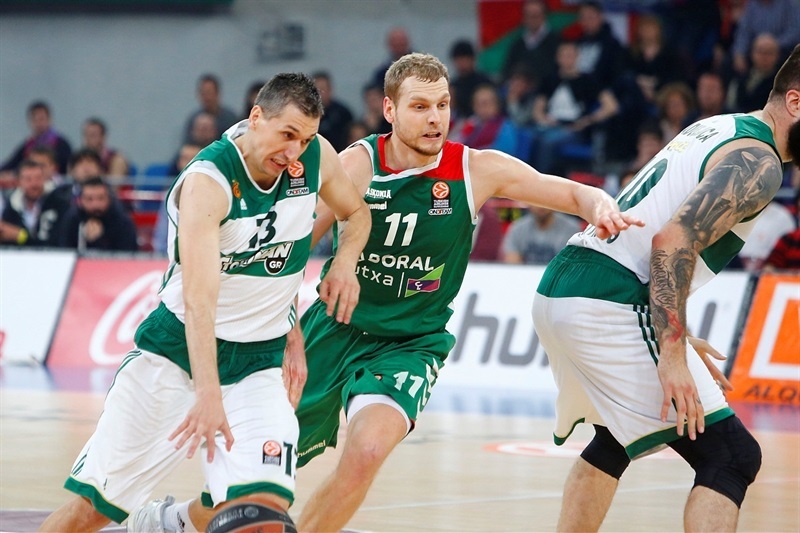 Diamantidis took charge with a pull-up three, but essentially gave it back by fouling Bertans on a long three-point attempt and the forward made the resulting 3 shots. Raduljica swished a jumper from the foul line to make it 50-43 midway through the quarter. Diamantidis went behind the back to set up Gist for a slam. The forward missed a chance to further trim the deficit when he missed 2 free throws. But free throws by Diamantidis made it a 3-point game. Adams and Diamantidis matched foul shots. Blazic also sank free throws, but Antonis Fotsis’s tip in brought Panathinaikos within 54-51 in the closing seconds of the quarter. Bertans knocked down his fourth three-pointer and Tillie grabbed an offensive rebound and fed James for a slam. The difference was double figure after Bourousis rejected Williams to ignite a fast break that James finished with a layup. Gist scored for the Greens, but a foul and then a technical for arguing by Pavlovic made the arena sing even louder. However Kuzmic’s hook and a Diamantidis three silenced the crowd at 62-58 with six minutes to go. Diop fouled out, but Tillie scored to keep Laboral in control. Raduljica was called for flopping and Bourousis made the resulting free throw. Kuzmic dunked in transition to make it 65-60 with three minutes to play, but an Adams three gave the hosts an 8-point advantage. Williams revived the Greens with a three, but Tillie made a wild layup to keep Laboral in charge. 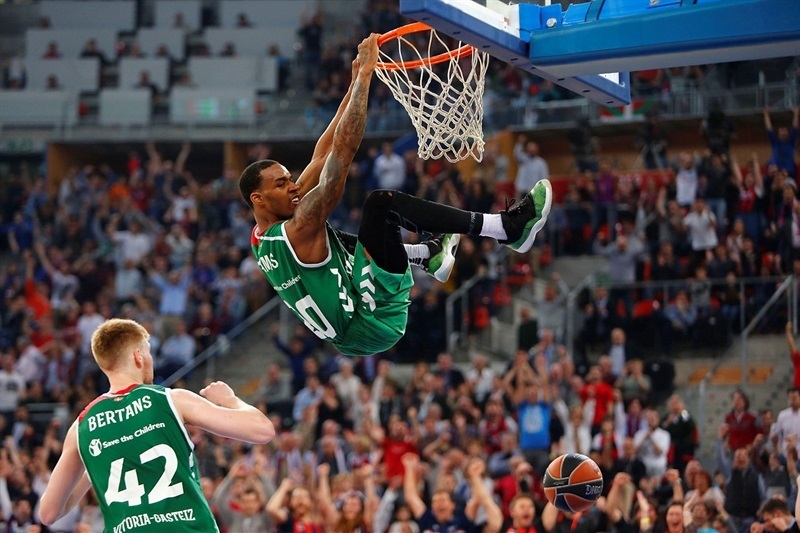 Williams kept Panathinaikos in the hunt with a drive to get within 70-65 with 80 seconds remaining. Kuzmic free throws got the visitors within 3 with 44 seconds on the clock, but Adams blew the lid off the arena with a pull-up three with 30 seconds left, but after a timeout, Haynes answered in suit and Panathinaikos forced an 8-second turnover to get the ball back with 13 seconds remaining. 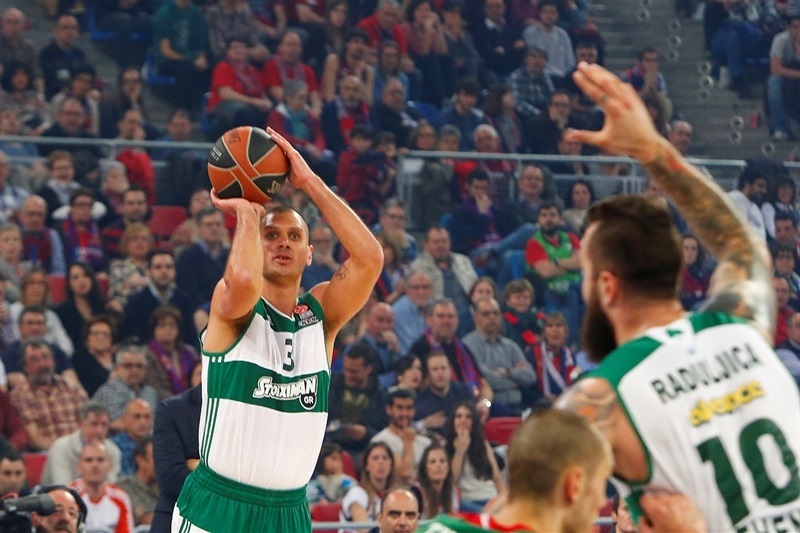 Diamantidis buried a triple off one leg with 8 seconds left to even the score at 73-73. James was stopped on his way to the hoop and the game went to an extra session. Bourousis sank a hook to put Laboral back in front. 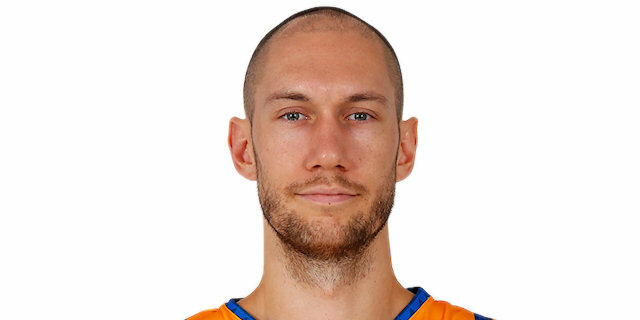 He then drew Kuzmic’s fifth foul and split free throws. 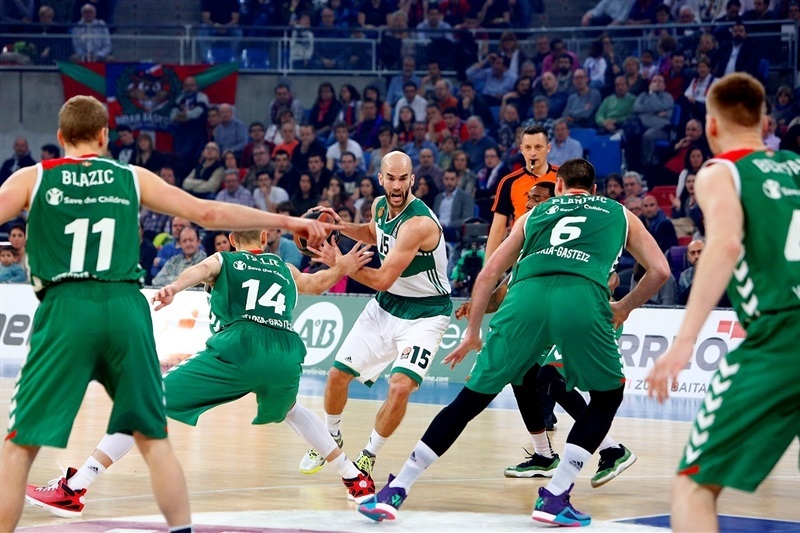 Calathes rescued the Greens with a reverse layup, but Bourousis tacked on 2 more free throws. 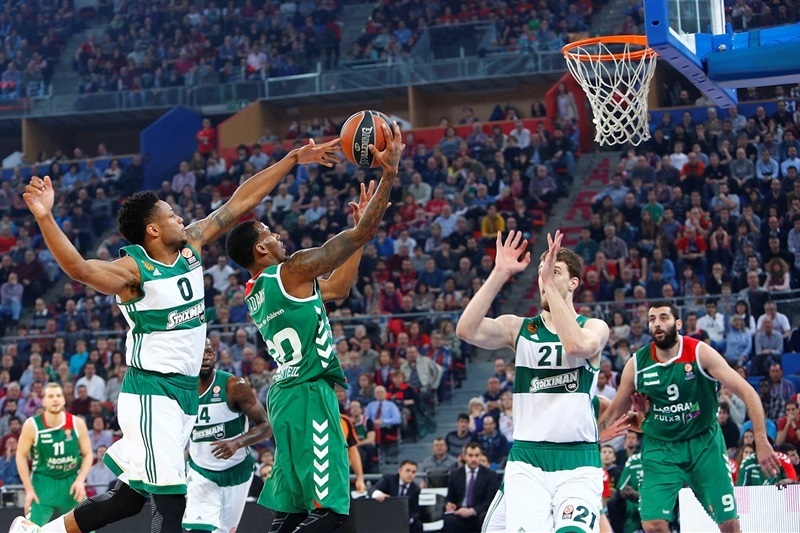 After a bizarre Panathinaikos turnover – Diamantidis lost the ball when he collided into Williams, Adams dunked on the break for a 5-point advantage. Williams split free throws to make it 80-76 with just over a minute to go. The Greens’ defense rose to the occasion again and Williams fast break slam made it a 2-point game with 48 seconds on the clock. After stopping Bourousis, Raduljica missed from close range with 10 seconds left and Adams sank 2 free throws to ice the game with 5.1 seconds left. "It was a game like we thought it was going to be. They played more concentrated, tougher, and we had a lot of problems to catch them in the first quarter. We played better in the second quarter, and since then the game was very balanced. Every time we tried to escape they found the way to rally and stay close. They tied the game in the end, with a very difficult shot, but they deserve all credit. There are a few players able to take responsibility and make shots like that, and Diamantidis is one of them. Our team showed pride and courage to react in the overtime. It wasn't easy, because when your opponent sends the game to the overtime, it's not easy to get back on track and win the game." "We suffered very much. But we know that Athens are a very difficult team, so this victory was very important for us. They scored very difficult three-point shots to go to overtime. They have quality, so we know they could do this. But our team had the capacity to react. We had big problems with the rotation, but the guys put everything out there." "First of all I want to congratulate Laboral Kutxa. In games like this you have a lot of episodes to talk about but being professional in sports. First thing I must do is to say congratulations to our opponent. They have great creators, great ball handlers, very good offensive players in the point guard position, and they are in great shape. They made the difference the other night and they did it today too. It was a different game than the last one, we were more like we are, we fought through the problems in a good way as a team. Now I just asked the players to fight back and think only about the next one, take it as if it were the first game. I told the players that I want to see them in another game here. I don't want to look arrogant, but I'm sure we will be back here. Our three point percentage wasn't enough today either. It was a bit better, but we are struggling with that. We managed to find some self-confidence on ourselves tonight, and about how to play against this team. I saw enough courage in my players to fight to come here again, I felt they have a huge will to get to the fifth game, but always thinking about our next game, the first one, we are going to play in Athens." "I think I'm going to say the same things I said the other night, because the keys of the game were the same. We had big energy, played with a lot of intensity, did a great job in defense and fought hard all game long. We saw that without Adam [Hanga] we have to face a lot of problems, but everyone else has to step up and give a little bit more. We did it and we won. They made more shots than in the first game, but I think that our defensive effort was good enough overall and we were able to stay strong till the last minute." "It was tough, going to overtime, with players injured. I think everyone else on the team feels exactly like me, that it's a good thing we have a few days to get some rest and get ready for the next one in Athens. [After Diamantidis sent the game to overtime], Coach just told us: 'Let's go win this game again.' We came out, started from zero again, took the lead and that was it. It would be nice if we don't have come back to Vitoria to win it, but it's going to be really tough. Their crowd is one of the loudest in Europe , pretty much will be the same as here, and I hope we can come back with another win." "It was a very tough game, we needed to go to the overtime but finally we did it and we are so happy for that. " "For us it is a very difficult moment right now, but we have to continue. We expected a different game tonight and we were much better than in the first game. We managed to cut back a 6-point margin in the last minutes and get to overtime, but then we didn't make things as we wanted to do. But this is sport and now we have another game in our court. We are down 2-0, it's a difficult situation, but we will try. "